We have beautiful South Downs National Park holiday homes and short term holiday lets. Short breaks, family holidays or corporate lets in the stunning setting of the South Downs. The South Downs National Park is England’s newest national park covering an area of 1,600 sq km of breath-taking views of unspoilt heathland, iconic white cliffs of the Heritage Coast, picture-perfect villages with real communities all nestled inbetween the rolling hills, river valleys and ancient woodland. With as little as a 30min drive or train journey, you will find some fantastic walking routes which will take you through thriving market towns, diverse landscapes and stunning scenery. 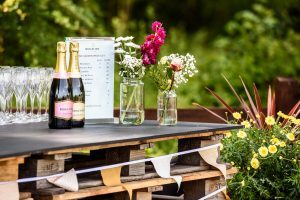 You will find fantastic produce, local beers and award winning sparkling wine from the vineyards in the area. Popular events run throughout the year such as Lewes Bonfire celebrations, Goodwood Festival of speed, Glyndebourne Opera festival, Rye Arts festival as well as number of small events taking place in towns and villages in the South Downs National Park. Seven Sisters Country Park invites visitors to explore the chalk cliffs on the Sussex Heritage Coats, the meandering river valley and chalk grassland from where you can admire the spectacular views of the Seven Sisters Cliffs, Seaford Head Nature Reserve, Cuckmere Haven and the surrounding rolling down land. Start at The Visitor Centre which offers information on the history, wildlife and geology. Drusillas is widely regarded as the best small zoo in the country. 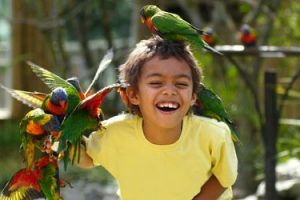 It has created an animal and child friendly environment where fun can be had by all- young and old. Go Wild!, Get Wet!, Go Safari!, Amazon Adventure, Eden’s Eye maze and Hello Kitty Secret Garden are paradise for anyone wanting a theme park experience. 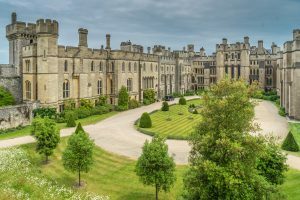 Arundel Castle is the stately home of the Duke of Norfolk offering magnificent views across the South Downs and River Arun. Enjoy exploring the fine furnishings, tapestries and the rare collection of art with guides available to give you interesting facts and answer any questions. The castle welcomes visitors from Easter Sunday through to end of October when you can enjoy the tranquil themed gardens. Discover the rescued rural homes and buildings of people who lived in the area 1000 years ago. 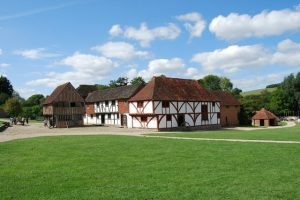 There are 50 buildings to explore, with regular demonstrations and exhibitions taking place. With 40-acres of land to explore, this is a fantastic day out for the whole family. 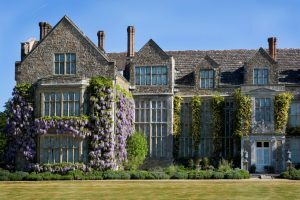 Parham House is one of the finest Elizabethan Houses set in a tranquil location in West Sussex, offering a fantastic collection of needlework, paintings and furniture. Open from 1st April through to mid of October, visitors are welcome to explore the stunning gardens with its herbaceous borders with a walk down to the lake. Stop for a tea and cake in the Mower Shed or if you fancy some lunch, then head off to the Big Kitchen restaurant with freshly prepared food. An outstanding country pub boasting great food and drink, attentive service, and a warm atmosphere. 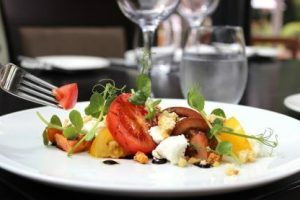 The menu is carefully selected and offers ingredients mostly sourced in the lovely West Sussex. The dishes are mainly traditional but with a modern twist. 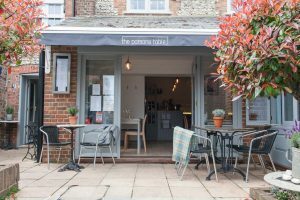 Nestled in the picturesque village of Hurstpierpoint, The Fig Tree offers elegant dining with seasonal dishes and excellent service. It’s time to tempt your taste buds! 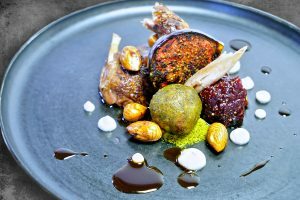 Family run business in the heart of West Sussex, the Parsons Table is all about local ingredients, classic cooking with some incredible flavours and superb service. 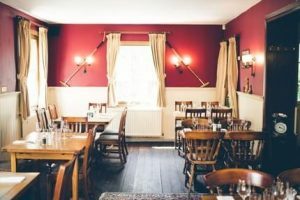 The restaurant is described by many as a little gem offering an informal dining experience in a cosy and intimate setting. 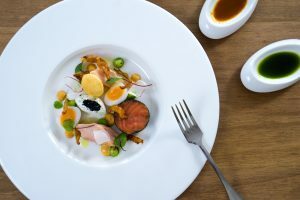 Restaurant Tristan has raised the bar in the local area, being the first Michelin starred restaurant in Horsham. Pushing the boundaries with fantastic flavours and unique ingredients. The venue is modern but cosy and the food is well executed, paired with excellent service. 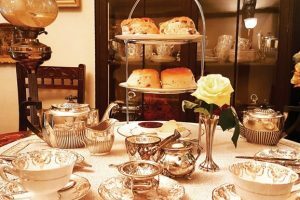 Established in 2013, this quintessentially British tea rooms, welcomes visitors for a morning coffee, delicious lunches and indulgent afternoon teas. You’ll also find a wide range of boiled sweets, chocolate, fudge and sugar free sweets. 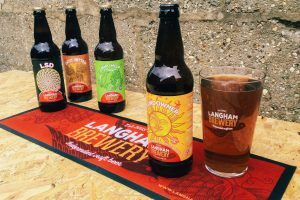 An award winning independent microbrewery in West Sussex famous for its traditional cask conditioned real ales. If you’d like to know a bit more about the ale that’s being produced, book yourself on one of their guided tours with generous beer samples during the 1.5-2 hour tour. An Independent Wine Merchant & Wine Bar based in the historic town of Lewes. 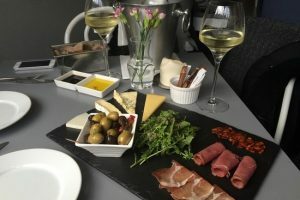 You can enjoy wine and spirits in a relaxed and unpretentious atmosphere, paired with some local charcuterie and cheeses. The range of wines and spirits has expanded significantly and whilst the owners are particular fans of Italian wines, visitors can sample wines from as far as Japan. Ridgeview Wine Estate sits in the beautiful South Downs, specializing in creating award winning sparkling wines using classic grape varieties. Regular wine tours are held and booking in advance in essential. Visitors are welcome to drop in for tastings or to simply purchase high quality sparkling wines. 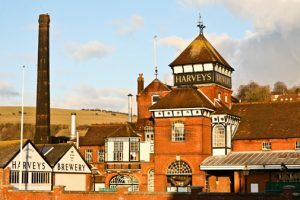 Harvey’s Brewery is well known for its traditional cask ales by selecting the finest materials brewed in a traditional brew house. Apart from gifts and souvenirs, you can purchase variety of bottled and draught beer as well as wine and spirits from the shop. To reach South Downs National Park holiday homes if travelling to the furthest point west, join the M3 for a journey of just over 50miles or 45-60min. If travelling south, towards Brighton, Lewes and Eastbourne, from A3, it’s a 35min journey to M25. From A23 from Brighton, it’s 16miles to M23, and further 14miles to M25 – approximately 35-55min journey. From A27, it’s just under 60min journey to A23, M23 and then M25. 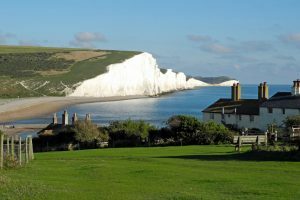 To reach South Downs National Park holiday homes regular trains from London Victoria, London Bridge and Gatwick Airport serve the south east. Journeys to Chichester are approximately 90min from London Victoria, with Brighton accessed within an hour, Lewes- in 70min and Eastbourne within 95min. To reach South Downs National Park holiday homes London Heathrow is 1hr 50min-2hr 10min and Gatwick Airport gives good connections with a journey of 45min to 1hr 20min. Southampton Airport can be accessed from Dublin, Belfast, Glasgow, Edinburgh, Manchester and Leeds.